Dr. Uppal is Board Certified in Orthopaedic Surgery with extensive fellowship training in Trauma and Reconstructive Surgery. His clinical interests include polytrauma care, complex periarticular fractures, pelvis and acetabular fractures, malunions, nonunions and infections. After successful completion of his Orthopaedic Residency at the University of Missouri-Columbia, Dr. Uppal did his Orthopaedic Trauma fellowship at the very busy University of Southern California and Los Angeles County Hospital. In addition, he completed a lengthy AO Trauma Pelvis and Acetabular Fellowship at the country’s busiest level 1 trauma center; The University of Texas-Houston Hermann Memorial Hospital under the mentorship of Milton “Chip” Routt, MD, who is regarded as one of the world’s best pelvic surgeons. He has also spent considerable time studying at the University of Washington’s Harborview Medical Center, one of the best trauma hospitals in the world. Dr. Uppal first started practice at the Medical College of Wisconsin, which is Wisconsin’s busiest level 1 academic medical center. After over 3 years there he matriculated back home to Southern California to Kaiser Permanente Medical Center, Orange County. He was the chief of Pelvis and Acetabular Surgery for Orange County and also served on staff at UC Irvine Department of Orthopaedic Surgery as an Assistant Clinical Professor. Dr. Uppal is also highly passionate about resident education. He is an AO Trauma Faculty member and regularly travels across the US to teach both basic and advanced courses to residents. In addition, he also is an active member of the Orthopaedic Trauma Association (OTA), Fellow of the American Academy of Orthopaedic Surgeons (FAAOS), Fellow of the American College of Surgeons (FACS) and member of the California Orthopaedic Association. 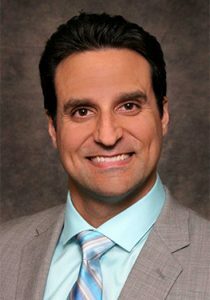 Among Dr. Uppal’s most recent publications is literature on bone grafting to help difficult fractures to heal, the biomechanics of high energy lower extremity trauma for the Department of Defense and a surgical technique video on fixation of high energy foot trauma. Trauma is often unexpected and can sometimes be a life changing event and Dr. Uppal works very hard not only in the operating room but also throughout his patients’ recovery to help them regain their level of function they had previously. He is a patient advocate and works tirelessly on their behalf as he wants nothing but the best for them. Dr. Uppal was born and raised in Southern California. While outside of work he spends much of his time with his wife and three sons. His family is nearby and sees them often. He enjoys weight lifting, golfing, biking and spending time at the zoo with his kids. He joined Orthopaedic Trauma and Fracture Specialists in November 2018.